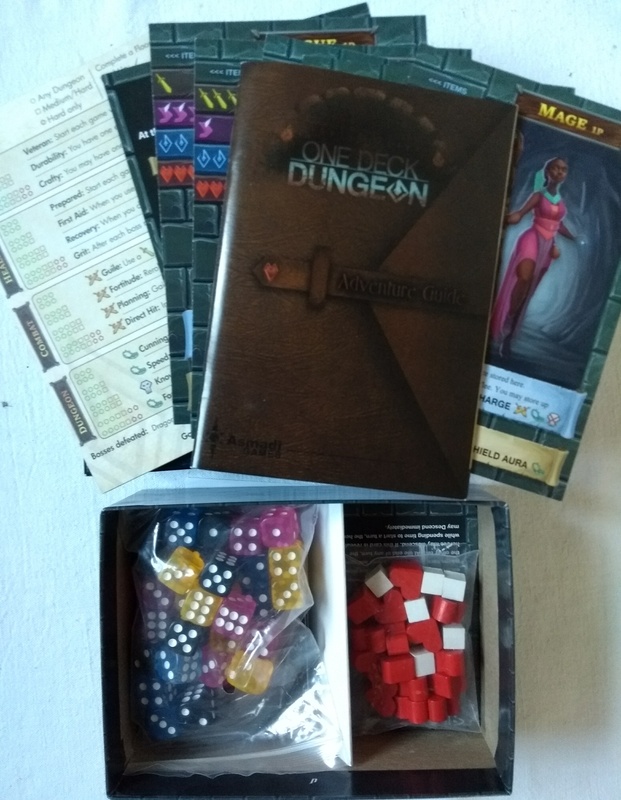 Produktinformationen "One Deck Dungeon - Englische Version"
One Deck Dungeon is a roguelike game in a small box. Choose a hero, and a dungeon to delve into, and setup is done! The game is very easy to learn, features intuitive dice mechanics and is attractive on a demo table. 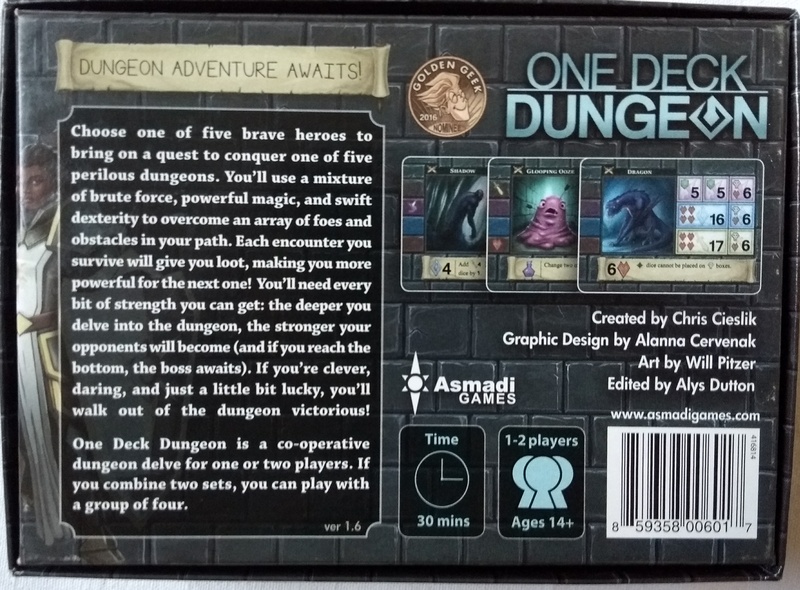 While the game only supports 1-2 players, you can combine two sets to have a four player dungeon delve. Currently, the game is funding on Kickstarter, but contains no Kickstarter exclusives that are poison to selling the game after the campaign ends. Every copy will contain every stretch goal, and be 100% of the game that customers want. 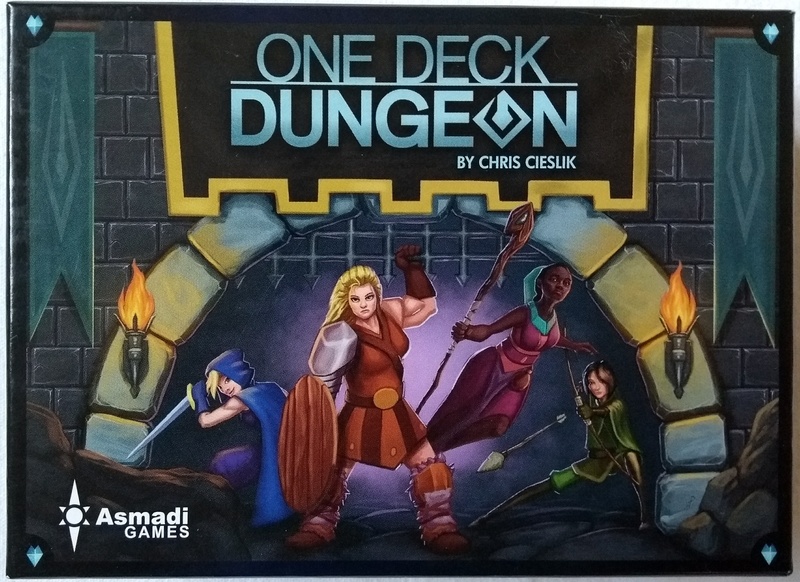 It has generated much excitement over the all-female, realistically-clad cast of heroes, something that is quite unique in the tabletop realm. 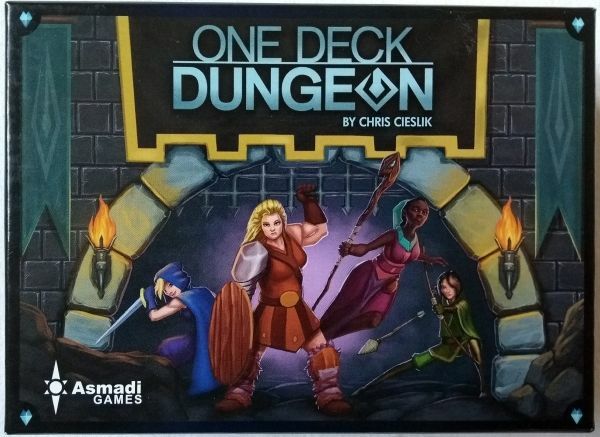 Weiterführende Links zu "One Deck Dungeon - Englische Version"
Kundenbewertungen für "One Deck Dungeon - Englische Version"